I really love my ice cream maker. I have not bought ice cream at the grocery store since I bought it. I have gotten a lot of email and comments about my ice cream maker so I figured that I would answer them here as well. I have this Cuisinart one and I really like it a lot. It is on the lower end of the spectrum as far as price. I think that I got mine for $65 using a Bed, Bath, and Beyond coupon. There are way more expensive machines out there, but I wanted to see how much I really would make ice cream before I invested in a good one. And honestly, I really don’t think that I need to. This machine is perfect for me. 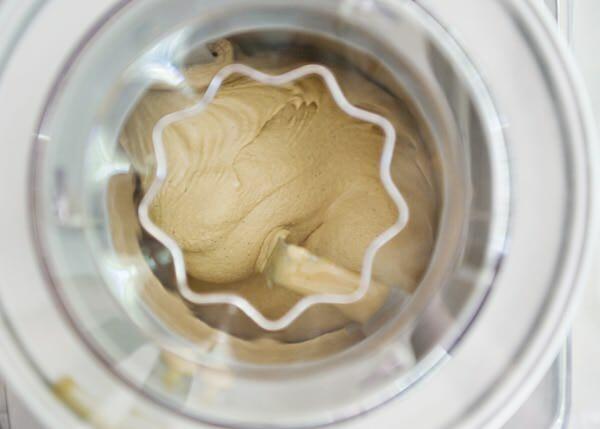 This ice cream maker can make 2 quarts of ice cream and can finish a batch in about 25 minutes. The only thing that I would consider doing is to buy another bowl. After you make a batch of ice cream, you need to let the bowl refreeze for 24 hours before you can use it again. I would like to make a few flavors at a time so I will buy another bowl at some point. This ice cream recipe changes the way that I think about ice cream recipes. I really cannot be bothered to make a custard and temper eggs and do the whole bit. This recipe does include an egg, but it is not a big deal at all. The other ingredient that I thought was strange was cornstarch. You sort of make a pudding and it reminded me of the day that I made William Chocolate Pudding. Same principle. The ice cream that resulted was so crazy good that I think that I will base all of my new flavors on this one. It was the creamiest and most luscious ice cream. I wish that I had a bowl of this right now. In the July edition of Southern Living, there is an article on ice cream making and this is where this recipe started from. Thank you Southern Living for the inspiration. 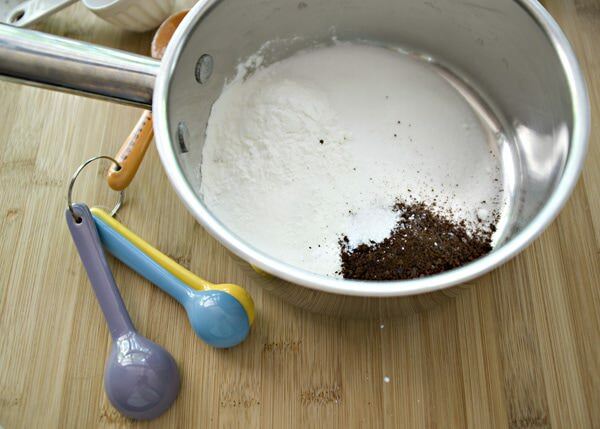 In a saucepan, whisk together the sugar, cornstarch, salt, and coffee. 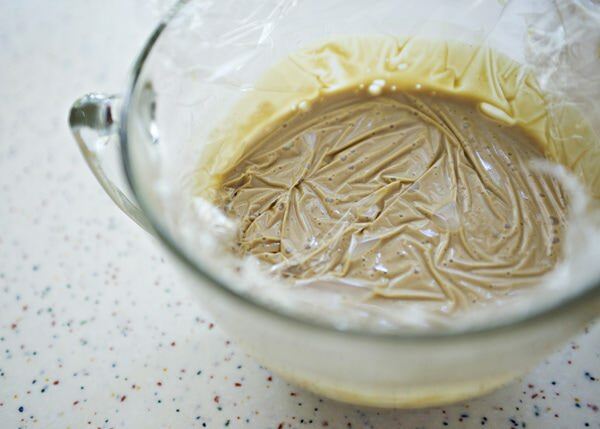 Slowly whisk in the milk and cream. 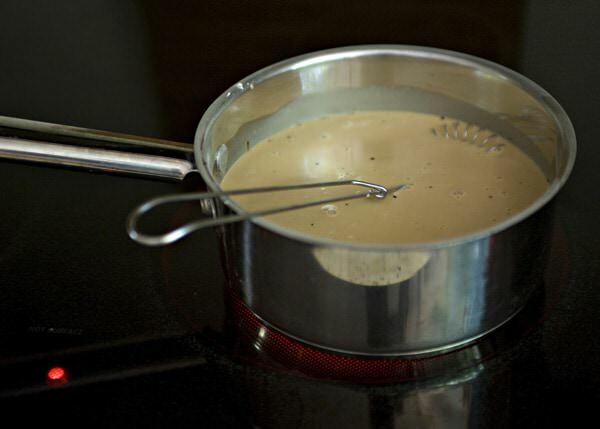 Cook over medium to medium high heat stirring constantly until thickened. It takes about 10-15 minutes. The mixture needs to come to a bubble so the cornstarch can reach full thickening power. 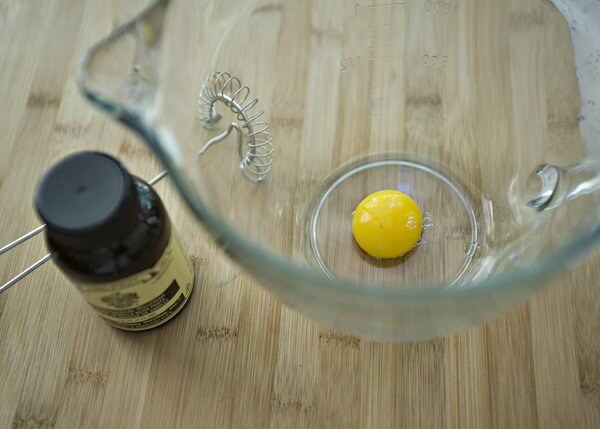 Meanwhile, in another bowl, whisk your egg yolk. 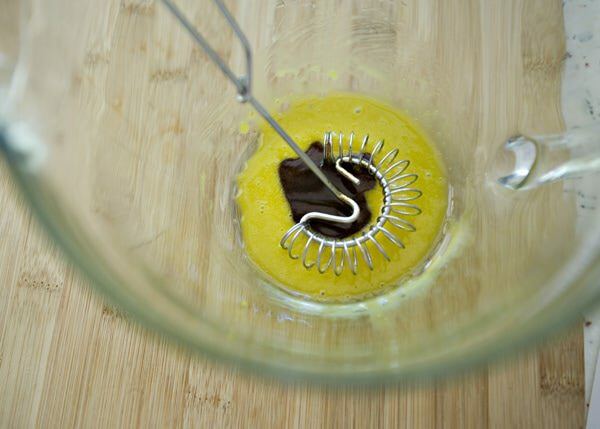 Add a very small amount of the hot cream mixture to the egg yolk whisking constantly. Gradually add the rest being careful to not scramble the egg yolk. It looks so good now, just wait until we add the Heath Bars. Cover the ice cream with plastic wrap, having the wrap touch the surface so a skin does not form. Chill for a few hours, overnight if possible. 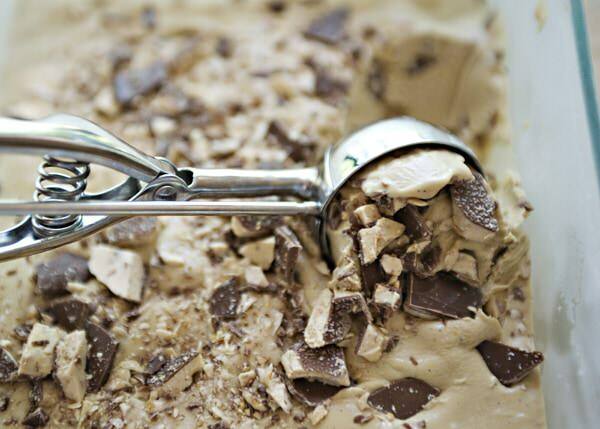 Freeze the mixture according to the directions used for your ice cream maker. A few minutes before the end of the freezing time add almost all of the Heath Bars. Leave a few for garnish. 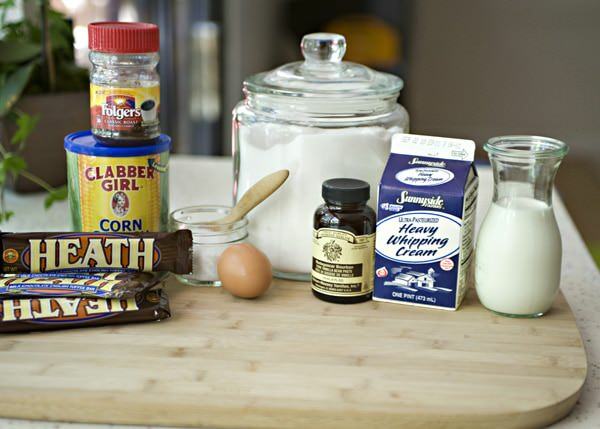 Transfer the mixture to another container and garnish with the remaining Heath Bars. Freeze for at least two hours before you serve it. Or not. You could eat it just like this. 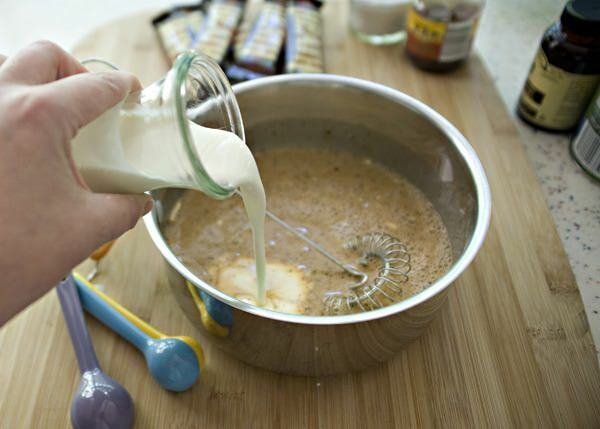 Transfer the mixture to another container and garnish with the remaining Heath Bars. Freeze for at least two hours before you serve it. 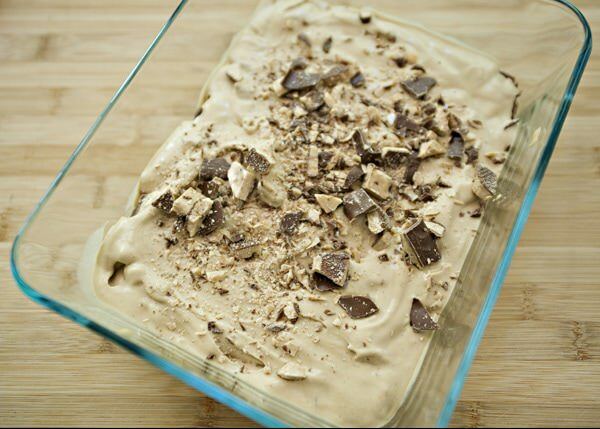 Oh my is right….those Heath bars are calling my name! Oh! and Cute daughter! This is one of my favorite blogs. Your step-by-step pictures are so helpful. Have you ever posted you finished products on Fiddme? thank you Ally. No, I have never heard of Fiddme. I’ll check it out. Thanks for the suggestion. please do, this is my new favorite ice cream. Oh!My!Goodness!Me! I almost just licked the screen… this has been bookmarked! Fantastic photos as usual. This ice cream is calling my name, and your daughter looks so lovely. thanks Memoria! Are you all moved in and settled? BTW, this is day two of owning an ice cream maker. The coconut lime ice cream didn’t turn out so good — but this more than made up for it! I look forward to more submissions. I am so glad that you liked it. I love this recipe so much that I will base all of my recipes off of this one now. That looks AMAZING! I know this is a little random but your measuring spoons are so cute! where did you get them? not random at all. I got those at World Market. Made this tonight! Sooooo delicious! Used a vanilla bean instead. Steeped it in the liquid while heating. yum. I love anything with a vanilla bean. Can this recipe be doubled? I have a 2 qt. Cuisinart. I believe that it should be fine. 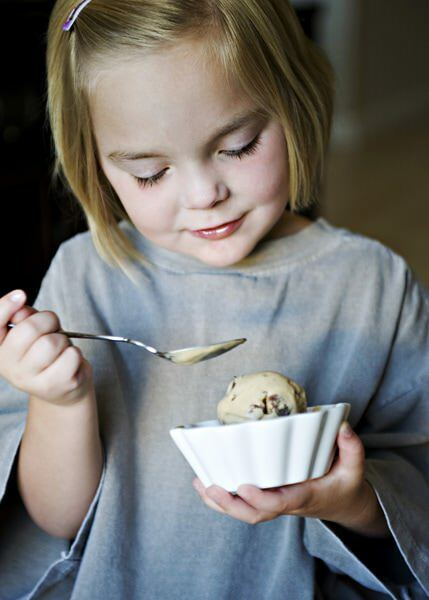 How long did you churn the custard in your icecreammaker? And what kind of health bars did you use? About 20 to 30 minutes, but it depends on your ice cream maker. I used Heath bars, I am not sure what you mean? I love making ice cream, you will be hooked! Can’t wait to make this! I love coffee ice cream and the addition of the heath bars looks delicious! Thanks for sharing! 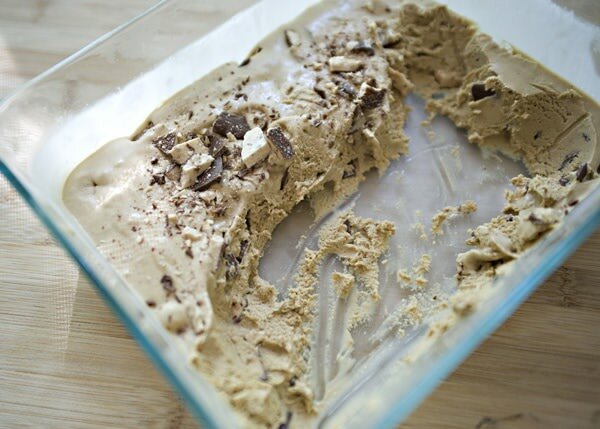 Oh my gosh Bree… This ice cream recipe is freakin amazing!! Can’t believe I just said that, but everyone that was lucky enough to get a bite when I made this said the same exact thing. Such a great recipe. I’m going to use this base and experiment with other flavors. Thank you so much! 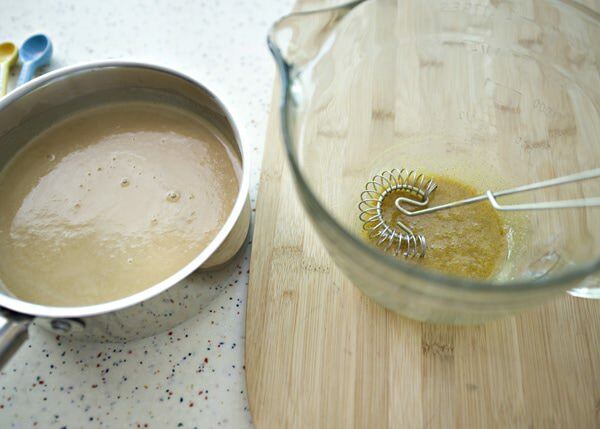 It is great, and a great base recipe, have fun experimenting! i just got the kitchenaid ice cream bowl attachment as a gift, and my very first batch of ice cream made was this one. I used espresso powder I had on hand, and the coffee/espresso flavor was amazing. What I’m so happy about in this recipe is the base using cornstarch and 1 egg. I hated the idea of burning through cartons and cartons of eggs for every batch of ice cream. I made my second batch of vanilla ice cream using this cornstarch base as well. At some point I will make a custard based ice cream, but really happy with this one. Thanks! I like this one a lot too. 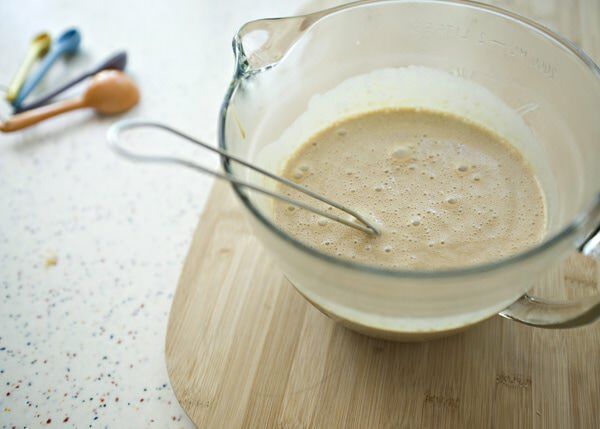 It is simple and makes a creamy ice cream without the eggy taste.